Whenever I recall the flat in Bombay where I lived for a few years before I left for London, I hear music. My brother Firdausi or I are playing a Mozart minuet on the piano; or the radiogram is playing an aria sung by Beniamino Gigli; or Fir dausi is belting out his version of the aria under a shower, or, on a Sunday, my father is listening to qawalis. I never saw my mother listening attentively to any of the music being played in the flat. My memory of her at that time, when she was in her forties, is a woman who never set aside time for herself, supervising our servants, busy in the kitchen, making sure everything in the flat was in the right place, attending to phone calls. But I also recall her pleasure when I used to choose whichever records she asked for from a dark brown box. That was in another flat, my aunt Freny Antia’s on Altamont Road, where my mother and I used to stay when she and my father separated. The separation lasted for more than two years, and after we returned to my father’s nature cure clinic where we used to live before the separation, she in- volved herself wholeheartedly in helping him run it. I don’t remember listening to much music then. Though my mother said she loved Juthika Roy’s voice, I never saw her play any of the Juthika Roy records which she had bought. In 1951, we moved to a flat on Warden Road. heard a day or two earlier, or one that was playing on the radiogram at that moment. I recall three such occasions. And once, when she was in her late fifties, she said with grim finality, “I’ll never fall in love again.” Those were the words of a song sung by Dionne Warwick, which we intermittently heard on the radio in 1970. She had a gift for painting – a great sense of color – but didn’t develop it, choosing instead to devote herself to father, her sons, and making the Warden Road flat look beautiful. As she grew older and friends dropped away, she felt neglected, though Firdausi, who stayed with our parents, was an affectionate son, cheerfully drawing her out of her depressions, and ensuring she got the best possible treatment during her declining years. When she died in 2006, 94 years old, there were very few people at her funeral. 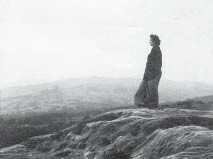 To outsiders and those who didn’t know her, hers would seem to be a typical case – of a woman discarded, a life presumed lost. But it wasn’t like that. Not exactly. Mehera, my mother, was born in the home of the Jalnawallas in Jalna on April 26, 1912. 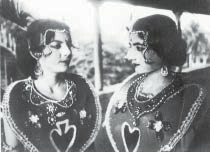 Her mother Aimai (Photo, right) was a Jalnawalla before she married Kaikhushru Mehta, a businessman from Surat. Mother spent her childhood in Jalna with her two brothers and three sisters. She rarely spoke about Jalna which was in the Nizam’s state of Hyderabad when she lived there, except to say that though she was regarded as an odd child, she was her father’s favorite; that she remembers scores of men eating at a huge dining table; and that the piles of discarded mango stones during the mango seasons looked like mountains. But by the end of the 1930s, Aimai Mehta and her family were no longer in Jalna. They had moved to Bombay and later to Poona in the early 20s for reasons that aren’t clear. The wealth of the Jalnawallas didn’t follow them; they were left to shift for themselves. Aimai’s husband was absent a lot of the time, away on business or with his mistress in Bombay. Her daughters found husbands of their own and according to talk in the family, that was something she encouraged. In 1930, her eldest son Dinshah(photo, right)had established a nature cure clinic and soon became one of Gandhiji’s favored doctors, supervising his fasts. It was when Tagore visited Gandhiji in Yervada jail — on the outskirts of Poona then — in Sep- tember 1932, trying to persuade him to break a “fast unto death,” that mother’s fortunes changed. Her brother Dinshah’s partner Gool Pocha — they weren’t married then — felt that mother’s restless, imaginative personality needed a change from the life she led in Poona. She felt mother would flourish in Santiniketan and told Tagore so. The next year mother went to Santiniketan. sometimes in a blouse and slacks, picking up the fallen shefali flower in her path, walking down an avenue of sal trees with a friend or running towards a mango orchard. She also danced. She was 21 years old, sometimes regarded as a “foreign” beauty, and was made to stay with a Dutch couple because of her “foreign” ways. The western clothes she occasion- ally wore set her apart and she avoided the ritual of touching Tagore’s feet. But the admirer who disturbed her most was Krishna Kripalani. They probably fell in love. He may even have been the chief reason she left Santiniketan. She once told me that she feared losing her family if she married him. But most of the time she told her sons and nieces that she had to leave Santiniketan because Dinshah had run out of funds to support her. Back in Poona, she missed Santiniketan and sold what jewelry she had to pay her own way there. But it wasn’t enough. My father Jehangir, who assisted Dinshah in his clinic, used to meet mother there and after a brief courtship they married in October 1935. A year later they were in Newcastle Upon Tyne, not on a belated honeymoon, but because father wanted to break away from Dinshah’s clinic and start a practice of his own. He’d got himself admitted to the Davidson College of Natural Therapeutics; a loan from one of the Wadia charities helped him get there. Mother, determined not to be left behind, was helped by the Tatas. In 1936, though the worst of the depression years in Britain were over, Newcastle and the areas around it, particularly Tyneside, were still badly affected. Millions were unemployed and food was still rationed. Mother recalled days with little to eat, poor heating, poor lighting, she and my father shivering in their digs, staring at the lone poached egg on their plates. But they were liked in the college and did well. Mother qualified as a masseuse and assisted Dr Davidson for a while. Father was reported to have done so well that the Wadias refused to take back their loan. Mother’s new dream was to help father set up an independent practice in Bombay and she did this in her whole-hearted way, but with many interruptions. Problems, mostly to do with each other’s families – his uncritical devotion to his mother, for instance, her excessive admiration of Dinshah – became obstacles, leading to frequent ruptures and rows. She felt she was wronged by my father and his mother. She put up a fight. By the time I was born in 1940, she wanted justice. This may have been another turning point in mother’s life because on the two occasions I came back from England to see her, I saw that she had set aside a part of her evenings to pray. When she visited me in England, twice, I didn’t see her pray. But in Bombay I saw her pray silently, her eyes often open, looking into the distance as she told her beads. Her prayer books, some of which she passed on to me, weren’t Zoroastrian. Morning and Evening Thoughts, Little Book of Prayers and Prayer for All Times were written by Christians. But she wasn’t strictly a Christian or strictly anything else. She was critical of those who, in her eyes, removed themselves from life only to pray and meditate. She grew less enamored of her brother-turned-guru Dinshah (Dadaji), but cared deeply for his wife Gool and their children. She said her prayers but believed in action, in helping people in practical ways. She was like father in this but more emotional. She helped her servants and their children with gifts of food and money, sometimes secretly. She helped her married woman servants have their own bank accounts. She tried to help solve my wife Veronik’s problems, her relatives’ problems, so doggedly sometimes that they thought her interfering. It was “in her nature,” as we say. She worried. And she worried more about the well-being of others than her own. All the same, she needed interests that took her out of her flat. She learned how to sew like a professional under the needle-eye of Ms Hyam, well-known for being a perfectionist. She passed on this skill to her niece Zareen. She em- ployed a thin sad woman called Emily to sew for her and she sold their products for charity. She got back to painting in 1966 when she joined Jyotindra Roy’s School of Batik Painting. She respected Professor Roy (as she called him) to the point of idolizing him, a throwback, perhaps, to the time she spent in Santinketan, studying under teachers she respected. She got to know Kamila Tyabji who persuaded her to be part of her Women’s India Trust (WIT). There she helped, again giving all of herself, in the making of jams, bedspreads and tablecloths. But it didn’t last. Kamila appreciated her work and her personality and was genuinely sorry when she left. Sushil Kumar Shinde thought fit to praise her in public. 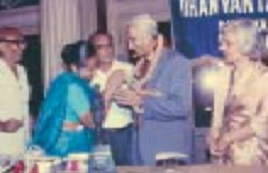 As guest of honor at the function when father was given the Dhanvantari award (in 1989), he singled out mother in the audience and said the doctor could never have been as successful as he was without his wife’s help. It was a politician’s gesture but he was right. Father died in 1997, mother in 2006. Her last two years, when she was generally confined to her bed, were hard, particularly for Firdausi. He got day and night nurses to care for her. Her grandniece Anahita deVitre and niece Zareen Mistry, her oldest friend Homai Irani and Homai’s closest friend Perin and another friend Rani Shah were regular visitors. Veronik and I would visit with prepared meals to supplement those Firdausi provided. She needed us to talk about cheerful subjects but I wasn’t good at that. running across a bare field. I think that woman is meant to be mother but I can’t find the painting. 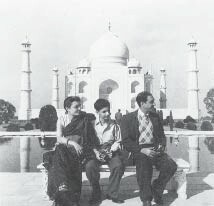 At the Taj Mahal, with Jahangir and son Firdausi, 1956. In her autograph book, the young Khushwant has painted her holding a sitar, the instrument he was trying to master. In the same book, on its last page, Krishna Kripalani has written, “May no obscure mind ever judge an innocence so wild and wondrous.” I believe my parents did manage to love each other again as they got older. Mother learned to control herself when provoked and to hold her peace. She may even have withdrawn too far into herself, refusing to speak her mind for fear of being misunderstood. She set me free in many ways, primarily by allowing me to be myself, even when I behaved in ways that hurt her badly. I loved her but, like father, couldn’t show it. She couldn’t understand why some broken relationships were never restored. When her father-in-law Merwanji – whom his wife and sons had separated from as long ago as 1914 – was dying in a hospital in Bombay, he refused to drink water from the hands of anyone but mother. He had visited her in Bombay shabbily dressed, almost a pauper. After recovering from her shock – father had never mentioned him to her – she took him in and fed him. She might have done so permanently if, I presume, objections from his family hadn’t prevailed.